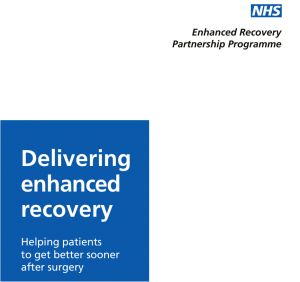 Earlier this month the Department of Health produced a guide titled “Delivering Enhanced Recovery” which is now available to download on their website by clicking here. The guide has been produced with the help of clinical teams from around the United Kingdom and is a useful guide for those looking to introduce an enhanced recovery pathway. It details what is included in a generic enhanced recovery pathway from referral to discharge, giving useful examples and case studies, and providing checklists and flow diagrams for you to use when planning a pathway.